Anyone who’s worked in a restaurant knows that grueling hours, temperamental tippers and toxic kitchen culture can make even the most dedicated worker eye the door. In a bid to keep his employees from jumping ship, a Montreal restaurateur is sending the entire team on a week-long trip to Cuba. All 25 staff members will be flown to Veradero later this winter, where they’ll spend seven days hanging out at an all-inclusive resort. The generous offer is a direct appeal to the sensibilities of a younger generation of workers, Delrieu said. “Our generation, what they like is sometimes just a thank you. Just a, ‘Here is a gift, here is lunch at (a) next-door restaurant.’ Here is something to motivate them,” he said. Employee Alex Forget said he was surprised by the bonus. “My friends are actually pretty impressed. They’ve never heard of anything like this,” he said. Flying the whole staff of a restaurant for a group holiday may seem unusual, but the practice is increasingly common in the business world. There are more than 100,000 job vacancies in Quebec, and employers are offering perks to keep good workers on the payroll. David Inzlicht, who runs the recruiting firm Proforce Personnel, said he’s never seen employers so desperate to please their staff. “It’s so insane that you have people that are offering signing bonuses just to get started, and on the other side you have people offering retention bonuses not to leave,” he said. Staff at Le Speakeasy, a restaurant in Montreal, are being treated to an all-inclusive vacation in Cuba. The reason, their boss says, is to retain good workers. 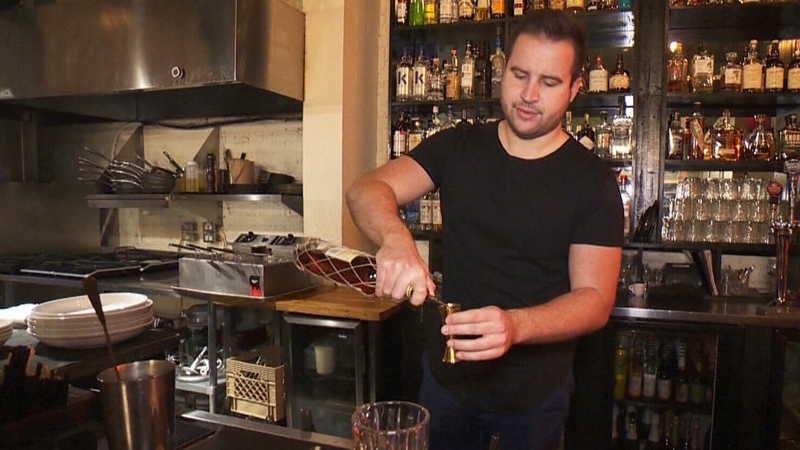 Le Speakeasy owner Nicolas Delrieu speaks to CTV Montreal about plans to send the entire restaurant staff to Cuba.